The state of Maryland has been known to have a climate that may cause foundational damage to your property. With heavy rainstorms and high humidity during the spring and summer months of the year, there have been many reports dealing with flooded basements and crawlspaces. Dealing with these issues can be overwhelming, but failing to address these issues can lead to even bigger problems. These bigger problems deal with the growth and spread of mold, which can raise health concerns for your family, and damage your property. Homes in Montgomery Village, Maryland, a northern suburb of Washington D.C., have been known to experience problems with mold and moisture in the past. Because the summer weather in Maryland is so hot and humid, the ability for moisture to enter your home is quite easy, especially if you haven’t done much upkeep on the foundation of your property. This moisture is the prime culprit for the growth of these mold spores. The presence of mold and mildew is something that is always a concern. The mold and mildew spores that are let out into the air are proven to harm the human body’s respiratory system, causing major problems if they are allowed to manifest. Therefore, the need for mold remediation in Montgomery Village homes is absolutely vital. If you’re unsure how to identify mold within your home, here are a few tips about how mold grows and what it needs to survive. 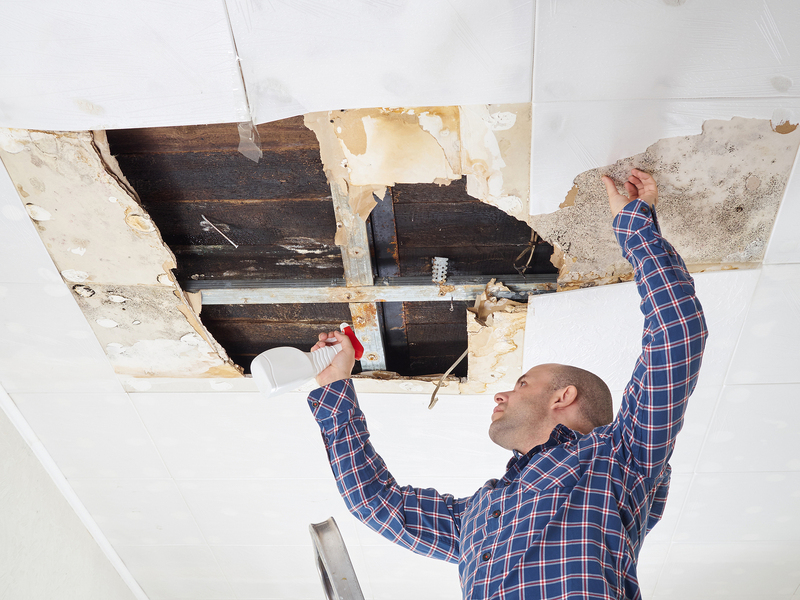 Mold is detectable by smell and signs of water damage on walls and ceilings. It is known to grow in places that are invisible to the human eye, such as behind wallpaper, paneling, inside ceiling tiles, or on the underside of carpets. Piping found inside your walls are also prime candidates for mold growth if they have leaking problems. There are three major components that mold spores need in order to grow inside your home. The first thing is cellulose, which is the cell wall of green plants. This is the most common food source for indoor spores. Secondly, moisture is needed to begin the decaying process caused by mold. The last component is time, which they don’t need much of. Once the first two requirements are set in place, mold growth can begin between 24 hours and 10 days. Hiring a professional to do mold remediation in Montgomery Village homes is a much safer and more effective approach than trying to do it all by yourself. They will remove and cleanup mold in these four steps. Firstly, mold remediation in Montgomery Village homes requires repairing the water problem. By identifying the source of moisture and eliminating it, you are essentially removing the mold’s ability to grow. Secondly, mold remediation in Montgomery Village homes requires isolating the contaminated area, shutting doors and vents to prevent the further spread of spores inside your home. Thirdly, mold remediation in Montgomery Village homes requires removing, cleaning, and drying all items that were affected by the mold. The contractor will ensure that the whole area and your affected personal possessions are completely dry, so that no other problems will arise. Lastly, the contractor will replace and repair any decayed materials that were severely damaged by the mold. If you notice any type of mold growth in your home, treat it with caution and make sure to schedule a time for its removal. The purpose of remediation is to clean contaminated materials and areas so that the mold can’t spread to other areas of the home. As mentioned before, the state of Maryland has a climate that is high in humidity and extremely warm during the summer months. Mold that has been killed and treated may re-appear if moisture is able to enter your home once more. Luckily, a mold remediation contractor will identify the problems with moisture, and will know exactly how to combat these problems in your Montgomery Village building or home.